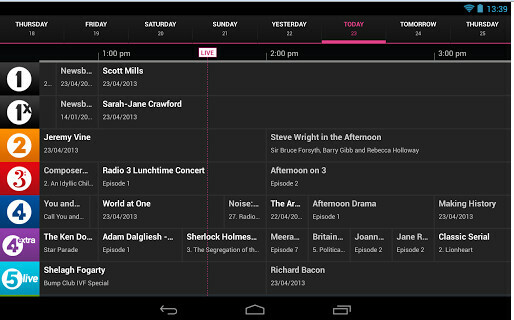 The patience of Android users waiting for a version of the BBC’s iPlayer Radio has finally been rewarded, with the new app coming with the bonus of being described as ‘even better’ than the iOS version. The iOS app came out in October 2012, and at the time the BBC promised that “Android will come soon” – but it’s taken six long months for the thing to finally arrive. It’s now found itself a comfy spot on the Google Play store and, like the iOS version, is available to download for nowt. The HD version for Android tablets is set to follow shortly. 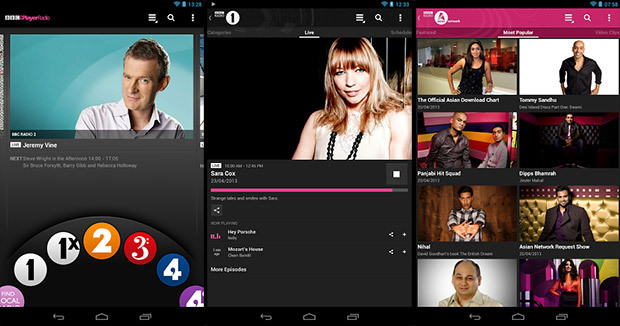 The app serves up live streaming radio from the BBC’s stations, a programme guide, access to on-demand shows from the last seven days as well as podcasts, video clips and even an alarm-clock function. “This app has all the features of the iOS app as well as some improvements that, as an Android user myself, I think make it even better,” said BBC’s executive producer for mobile James Simcock in a blog post .